If you could buy direct from the manufacturer or through a local distributor, which would you choose? The most common argument made for going with the manufacturer is you will get a better price. Sometime this is a correct assumption, but this isn’t always the case. One thing that can swing the price breaks the opposite direction is the amount of business the distributor does with a manufacturer. I know in our industry it is common for a distributor like us to do millions with a strong manufacturing partner. Wouldn’t it make sense that a manufacturing partner would give better pricing to a distributor who does millions with them vs. a customer who is offering a six figure opportunity? Should price alone be the key decision factor? Some buyers would say yes but I argue that most would say no. What good is a better price if you can’t get the product when you need it? 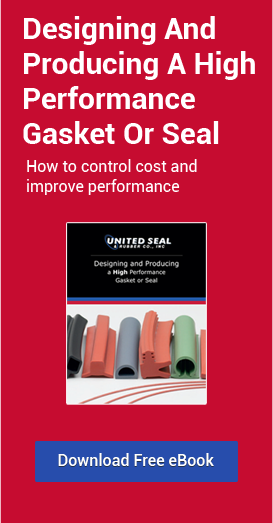 What is your time worth if you have to deal with multiple vendors to purchase your seal and gasket requirements? And do you have time to wait for the manufacturer’s support team to respond to immediate needs? All of this concern can be addressed by working with a highly trained distributor that is focused on providing support such as safety stock, one stop shopping experience and qualified local support that will be there when you need us most. The reason to use a distributor like United Seal & Rubber is real simple, service and support. It is our mission to make your job easier. So, now that I have your attention you may be thinking what separates United Seal & Rubber from other distributors? I’ll start first with distributors who offer a vast array of product lines. You can go online or find integrated supplier who offer gloves, glues, bearings and as a side line, seals. However, ask them to come in and help with your sealing issue and they don’t have a clue what an o-ring groove is, right? Call United Seal & Rubber and you will speak with someone who has a minimum of 10 years experience in the gasket and seal business. If you ask to speak to the owner and you’ll speak to someone who has been in the business for over 40 years. As much as we want to help you, if you call us looking for bearingswe will have to politely decline the opportunity (ask for Parker Protech Bearing Isolators –that is a different story!). home base. As our web presence has grown, so to have our base of business. While we still focus a lot of our selling efforts on selling our gaskets in the southern states we do enjoy helping out companies that have been beyond our geographic area. Why not? We have a lot to offer all of our customers no matter where they may be located. We are proud to offer our customers high speed die cutting and custom fabrication. We can provide custom kitting andvulcanizing/splicing of elastomeric products. We are one of a select few distributor fabricators that carry both the Parker Seal and Parker Chomerics line of products. Quality is everyone’s job at United Seal & Rubber and we are proud our Quality Management System is both ISO-9001 and AS9100 certified. To steal a phrase our fellow Atlanta Company, Chic-Fil-A uses, it is our pleasure to serve you!